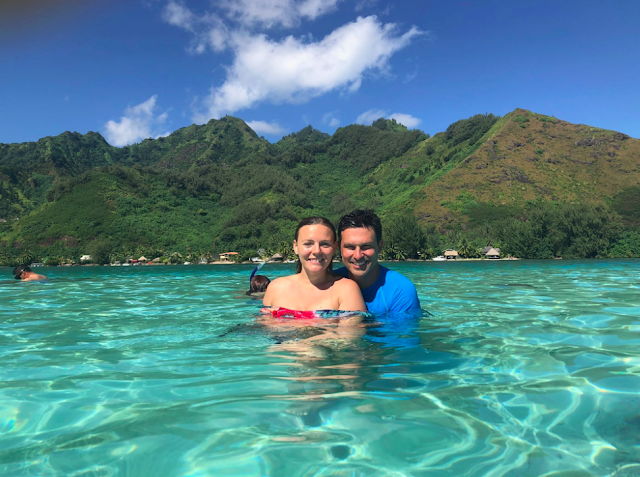 So the search began for somewhere relaxing, not too far from LA, preferably a direct flight, and voila, in between googling the Maldives and the Fiji overwater bungalows, I stumbled into BEAUTIFUL French Polynesia. When it comes to food, I have pretty much zero discipline, especially when traveling. I mean am I really expected to say no to a buttery flaky French croissant while in Paris or fatty yummilicious lamb chops while in Tunisia or scrumptious pasta covered with burrata in Italy? I mean it would basically be offensive to the culture to do that, right? So how do I stay fit being a French Fries and Cupcake lover and a travel addict? Trust me it’s not my metabolism. I wish I was that girl. But I am not. I am the normal kind of girl, the kind of girl who gains weight and has to workout to lose it. So here is my secret: I workout extra hard at home, so I never have to say no when I am abroad. I make up for all those “cheat weeks days" before they happen, and luckily, I found a studio that has super fun classes and make me love my workouts. But Don’t mistake fun for easy. Joshua Tree has always been on my list and by always, I mean since last August when I moved to Cali and started mapping out mini adventures in my new home state. So I guess always might be an exaggeration, but I get a little anxious and impatient when it comes to traveling and exploring. So after cancelling Joshua Tree in November because of an ear infection, and December being crazy busy, I was super hopeful for January. But my hopes were shattered, and Joshua Tree started to become more and more like a dream that would never come true. Perhaps another person would have thought it wasn’t meant to be - but like i said before, when it comes to traveling, I am pretty tenacious. 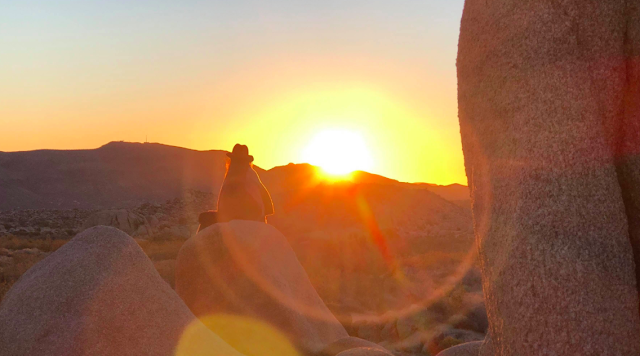 So finally on the last day of February, with much juggling of my work schedule and some crazy luck, I made it to Joshua Tree and woke up to this beautiful sunrise on the 1st day of March. The perfect way to start the month, don’t you think?